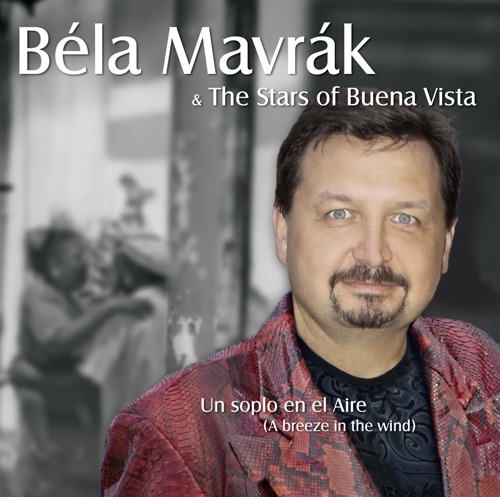 Béla Mavrák & The Stars of Buena Vista Un Soplo en el Aire (A Breeze in the Wind) “Music is a human thing, a warm thing, something that touches the heart.” That is the view of the world-famous Hungarian Béla Mavrák, who takes a great personal interest in the most far-flung tribes in the world. This quotation was the result of his visit to a tribe in Papua New Guinea, who received him as their first white visitor and adorned his farewell aria with unusual Aborigine vocals. His voice is heard and loved all over the globe. No lesser a personage than Lord Yehudi Menuhin accompanied the star tenor in 1999 at a concert performance in aid of the German Yehudi Menuhin Fund. It was from him that Mavrák adopted the humility of a great star which has gained him the worldwide affection of his fans, although since 2006 his international stage performances have become a little more ostentatious. Star violinist André Rieu enlisted Béla Mavrák to join his ensemble and made him known to an audience of millions in all the continents of the earth. 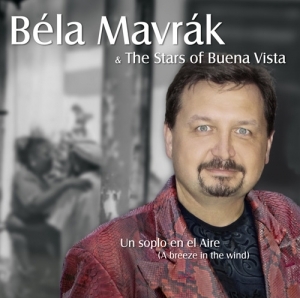 Now, with “Un Soplo en el Aire” Mavrák has fulfilled a long-held dream in between his world tours with the great violinist Rieu from Maastricht. Whilst visiting Cuba he once again felt that strong urge to get to know the people and the origins of their culture. It was in some ways a melancholy experience, because the Cuba of the past has changed dramatically. 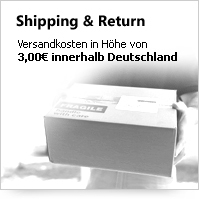 His brand-new album expresses this change: grandiose vocals – Buena Vista feeling – passion and emotion! Mavrák was born in Austria to Hungarian parents and christened in St. Steven’s Cathedral in Vienna; he grew up in Vojvodina (now a part of Serbia) and his youth years of learning and traveling took him to Italy and all over Europe. This time was followed by numerous tours of the great concert halls and opera houses around the globe. He started to study Song at Belgrade Musical Academy in 1989 and continued his studies at the College of Music and Dance in Cologne, Germany, where he graduated with an artistic diploma in 1994. After receiving private tuition from the world-famous Milanese tenor Franco Corelli and attending master classes given by Italian opera tenor Gianni Raimondi and the Swedish lyrical tenor Nicolai Gedda, he did not have to wait long for the first great parts and awards. He performed the leading role of Rodolfo in Puccini’s opera La Bohème at Belgrade State Opera, for which he was awarded first prize at the International Singing Contest in Italy. Numerous further roles took Béla Mavrák to Germany, Japan, Argentina and Brazil and around the world several times, until in 2006 André Rieu asked him to be guest tenor at 110 concerts on his Europe/Asia/America tour. Rieu and the audiences were delighted with him, and his contract was extended for hundreds more guest appearances. That is the glamorous side of this exceptional singer. Mavrák’s artistic soul always draws him back to the originality of cultures, currently Cuba. “That is where I discovered the origins of a cultivated music with a simplicity, modesty, warmth and radiance that can capture the hearts of so many people of all generations all over the world,” he answered, when he was asked what so fascinated him about the Caribbean island of Cuba. Because if music is pure emotion – and who could doubt it – then the legendary “Buena Vista Social Club” is the personification of emotional Cuban music in its purest and most original form. “When I was given the opportunity to select the tracks for this CD, I was keen to combine two things: the music I as a classical tenor have sung to people on stages all over the world in so many delightful years; and the original sound and authentic playing of the Buena Vista Social Club, sounds which have been touching people’s hearts for more than twenty years.” He was gentle and cautious in the way he led the Cuban musicians toward a culture which was foreign to them, and the result is a respectful mixture of traditional Cuban folklore and European, largely immortal, melodies. “In the course of our work together, I recognized how great and significant a remark by Yehudi Menuhin was that he made at the close of our joint concert: ‘Singing is the mother tongue of all humanity’.” This album is remarkable for its honesty and for the melancholy moments which Béla Mavrák describes like this: “The original music of Cuba combined with gentle references to modern western pop music and music from home country, supported by Indian tablas, Turkish drums and electric guitars in Latino sound have given the classics and evergreens of this CD a very special, unmistakable character. With no other song on the CD was I asked quite so often why I had chosen to record a new version of it: the immortal classic ‘Lili Marleen’. The answer is simple and it stands for the universal, unbounded power of music. Whenever this song was played over the loudspeakers on the warfronts of World War Two, the gunfire stopped and there was silence – on both sides…. 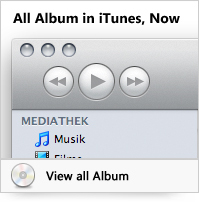 And that is why I still believe in the power and magic of music!” Barriers between genres? Definitely not here, because “Un Soplo en el Aire” is an atmospherically dense work, not of contrasts but rather of successful connections.